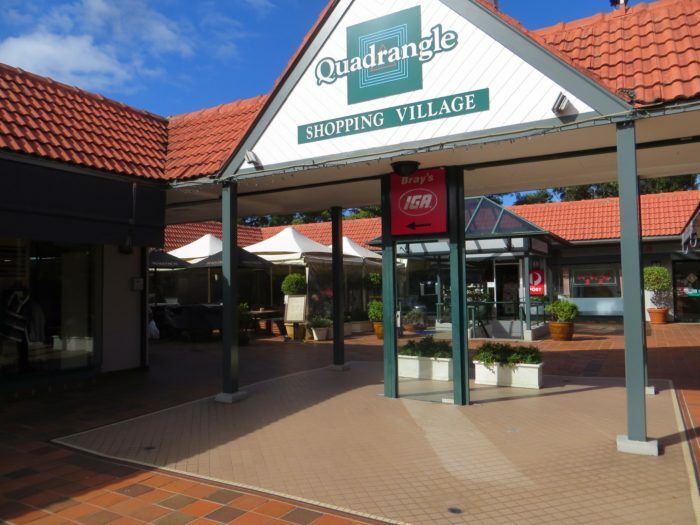 The local shopping centre has some 35 retail and service shops. 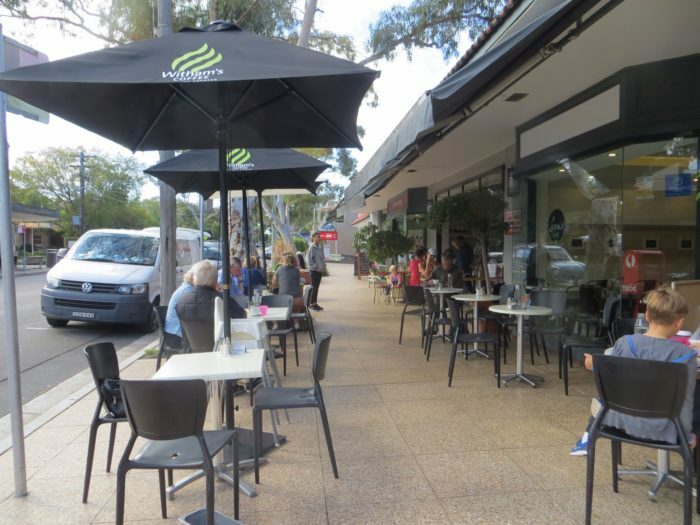 The suburb has nine restaurants, coffee shops and fast food suppliers. 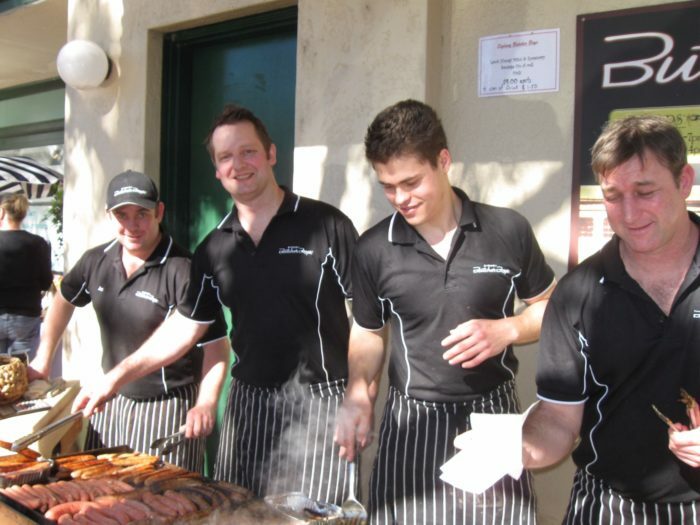 The Castlecrag Progress Association has organised a major Community Fair since 2000. Following the 2001 Fair, it has been held in June each alternate year. The purpose of the Castlecrag Community Fair is to bring the various elements of our community – particularly our residents and business owners – together in a manner that generates ongoing benefits for all. It is also an opportunity to promote the special features of our suburb to the wider community. Castlecrag is represented at Federal level by the Member for North Sydney and at the State level by the Member for Willoughby. For up to date contact information and election details call the AEC or the NSW State Electoral Office on 1800 043 188 or seo.nsw.gov.au Comprehensive guides to government services are in the front pages of the White Pages telephone book. Every Monday morning council collects three separate wheelie bins – one for household waste; one for recyclable materials (the recycle bin is for glass, plastic bottles and cans, newspapers, cardboard and paper; and one bin for vegetation. You will receive notices about council’s quarterly clean-up of bulkier material. Over thirty percent of Willoughby’s population comes from non-English speaking backgrounds and council runs a multicultural One Stop Assistance and Information Service (MOSAIC). This runs ethnic support groups, English classes and training seminars. MOSAIC can be contacted on 9777 7951. Castlecrag’s residents have a strong tradition of grouping together, dating back to the Griffins’ emphasis on communal involvement in local affairs, the arts and recreation. Walter Burley Griffin Society Inc. Promotes the life and works of Walter Burley Griffin and his wife Marion Mahony Griffin who designed Castlecrag and lived here from the early 1920s until shortly before Walter’s death in India in 1937. Castlecrag Conservation Society. Promotes the preservation, conservation and proper enhancement of the suburb’s fauna, flora and significant natural features. 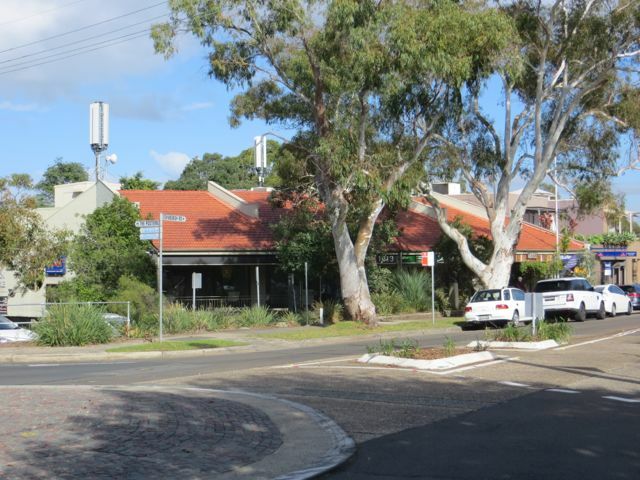 Castlecrag Community Centre (corner of The Postern and The Rampart). Volunteers manage the centre that houses a library and a kindergarten. Neighbourhood Watch. Works with the NSW Police Force on community safety and crime deterrence. Sailors Bay Sea Scouts (Eastern Valley Way. Northbridge). Runs a Sea Scout troop for boys and girls. There are also private kindergartens in Willoughby and Northbridge. St.Philip Neri Catholic School, Northbridge (9411 4733). Willoughby Girls’ High School (9958 5939). Chatswood High School (9419 6127). North Sydney Girls’ High School (9922 6666). 203 Monday to Friday limited service between Castlecrag (The Pinnacle) and North Sydney. 205 Monday-Friday peak hour service between East Willoughby to Wynard via Freeway. 206 Monday-Friday peak hour service between East Lindfield to Wynard via Freeway. 207 Daily daytime service between East Lindfield to Wynard via North Sydney. 208 Daily early morning and evening service between East Lindfield to Wynard via North Sydney. 209 Monday-Friday peak hour service between East Lindfield and Milson Point. 267 Monday to Saturday daytime service between Chatswood, Willoughby, Northbridge, Cammeray and Crows Nest – from bus stops on Edinburgh Road west of Eastern Valley Way. 275 Off Peak service between Castlecrag (The Pinnacle) and Chatswood Monday-Friday (and daytime service Saturdays) via Middle Cove and North Willoughby. 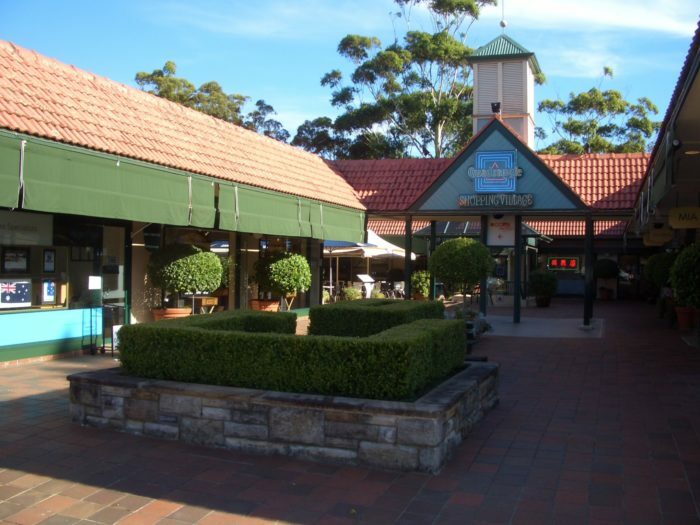 The Castlecrag Sports Club in the Corteille Reserve, off The Parapet, has two synthetic grass courts. It organises coaching for adults and children, and club tennis for players of reasonable standard. New members are welcome. One court is available at certain times for casual use. (See notices in clubhouse window for all information.) A large tennis centre is Tennis Cove at 325a Eastern Valley Way, Castle Cove. In Sailors Bay the Northbridge Baths offers a 50-metre tidal pool with beach and picnic areas (9958 7915). Willoughby Leisure Centre has a 25 metre indoor heated pool. The Centre also houses courts for basketball, volleyball, netball and badminton. It also has a health and fitness club and gymnasium (9958 5799). Willoughby has three courses: Northbridge Golf Club – 18 holes (9958 6900), Chatswood Golf Club – 18 holes (9419 2336) and Castle Cove Country Club – 9 holes (9417 5444). Scouts (10.5 to 14.5 years) Thursdays 19.00 – 21.00. During Terms 1 & 4 the meetings often relocate to their boatshed at the end of Rockley St Castlecrag, next to Castlecrag Marina. Venturers (14.5 to 18 years) meet most Saturday afternoons at the boatshed. The group is constantly seeking motivated adults as leaders. Venturers Mondays 19.00 – 21.00. Scouts Thursdays 19.00 – 21.00. Northbridge Sailing Club (9967 2632) has large Laser, Tasar and NS14 fleets which race on Sundays in season. New members of all ages are welcome. For availability of moorings, contact Waterways NSW at 131 256 (for long-term leases) or marinas at Castlecrag, Northbridge (9958 1261) or Cammeray (9953 4761). For small children, Castlecrag has parks with playground equipment in Edinburgh Road (Stoker Playground), The Bulwark (The Bailey) and in the Corteille Reserve, off The Parapet. Council’s Willoughby Park Art and Recreation Centre offers a large variety of courses, sport clubs and distractions for all ages, but especially for children, with an excellent school holiday programme. Council also employs a full-time Youth Worker (9777 7976). Chatswood Ex-Services Club (9419 7386) and the Gordon Rugby Union Club .